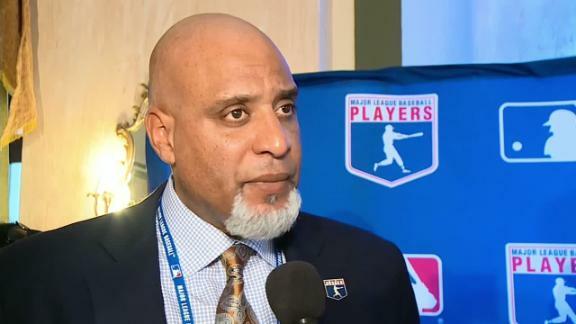 Major League Baseball Players Association executive director Tony Clark explains the importance of MLB's tour in Cuba and trying to find a safer way for players from Cuba to be allowed to play in the majors. Union head Tony Clark is concerned that free agents who would cost a team a draft choice for signing them are still without jobs. Tony Clark said he's "blown away" that he is the first former major leaguer to become head of the baseball players' union.